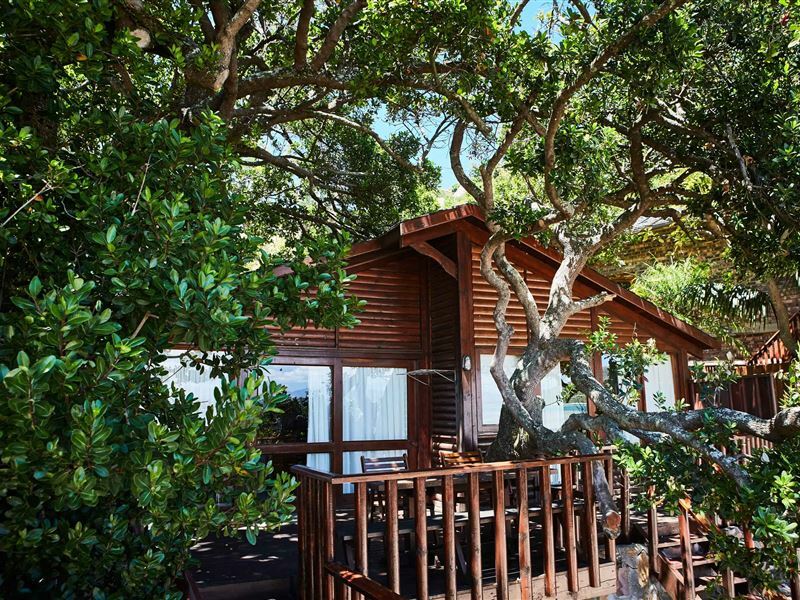 This tranquil resort offers guests a haven of leisure and comfort, and wonderful views of the lagoon with the Outeniqua Mountains in the background. 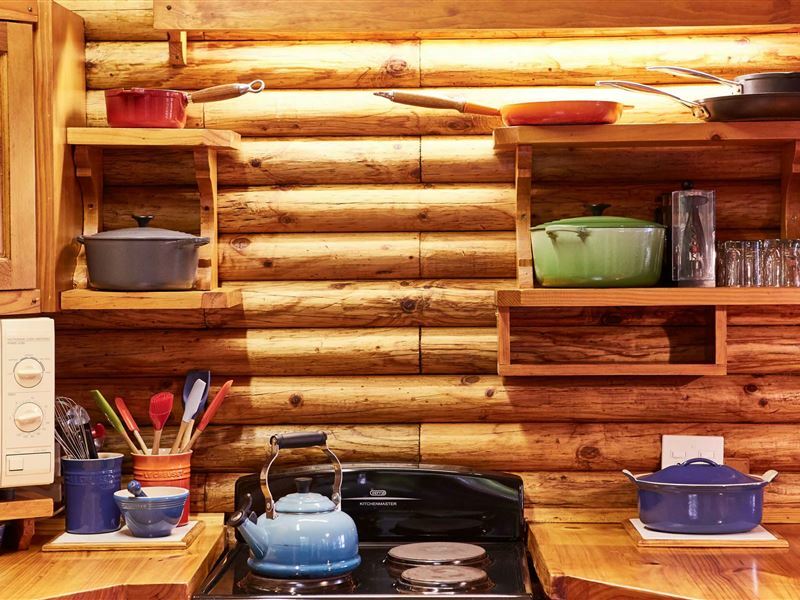 Each chalet has two bedrooms and a fully-equipped kitchen with all the modern conveniences such as a microwave, fridge and freezer, stove, TV and Le Creuset cookware. 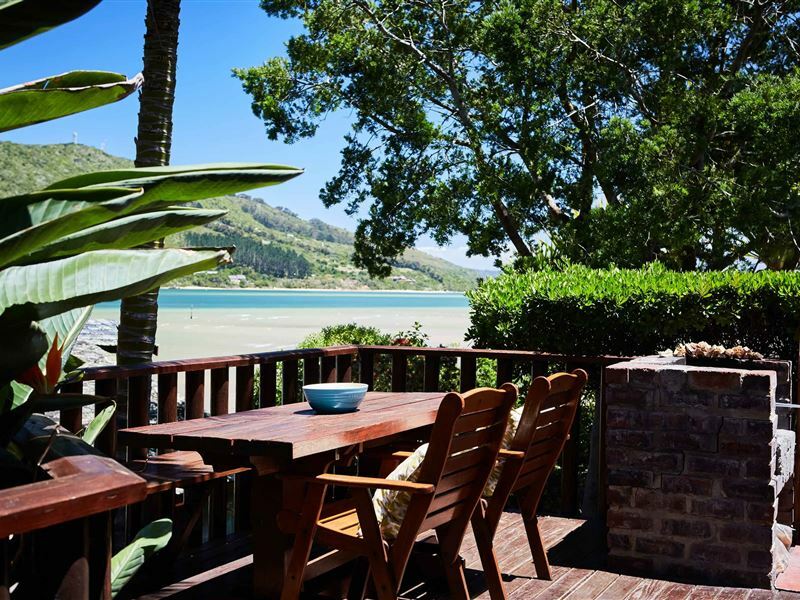 Each chalet also has its own sundeck and barbecue facilities, and are serviced daily. Our beach offers guests safe swimming and watersports in the protected bay, with windsurfers and canoes provided. 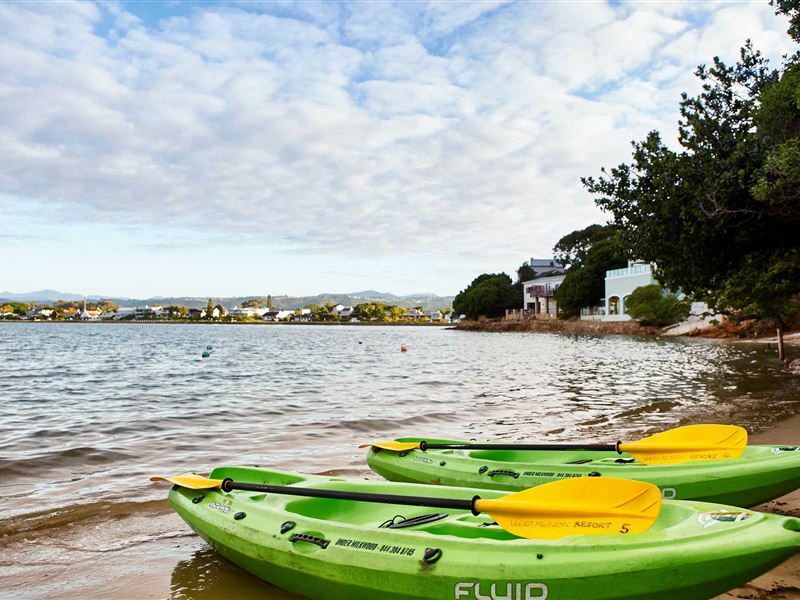 Hiking trails, birdwatching and fishing can all be enjoyed close by, as well as many other attractions offered in Knysna. 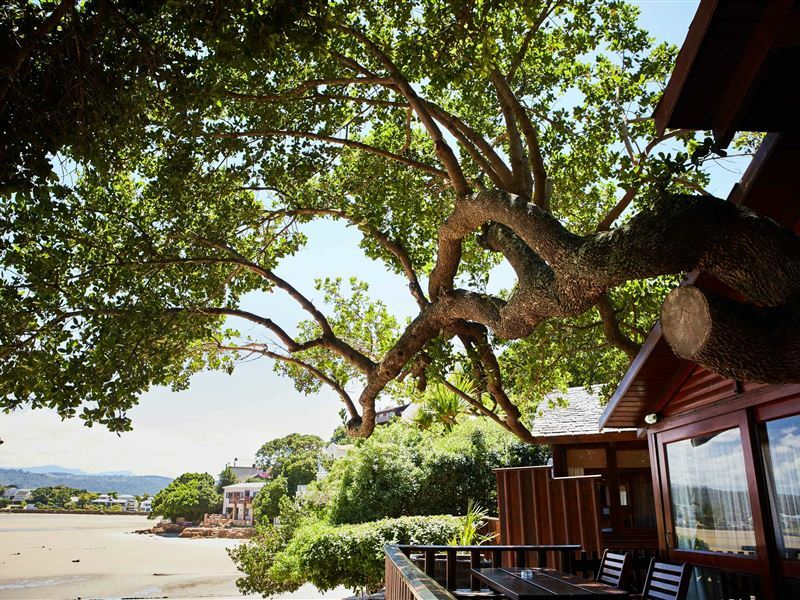 Our beachfront offers an ideal setting for sunbathing and swimming. Sunloungers, umbrellas and canoes are available to guests at no extra cost. Surpassed all expectations ... fantastic 3 nights there! Great location and service! Will definitely go back! Great place! Well equipped. Beautiful shallow waters. Efficient and friendly cleaning staff. High tide mornings coupled by magnificent sunsets. It was a memorable stay. Absolutely perfect location and beautiful chalets! The waterfront suites had incredible views - highly recommended! Had an amazing time staying here for honeymoon. The accessibility to the lake and subsequent water activities offered was refreshing. Rowing to other islands and trying some paddle boarding. 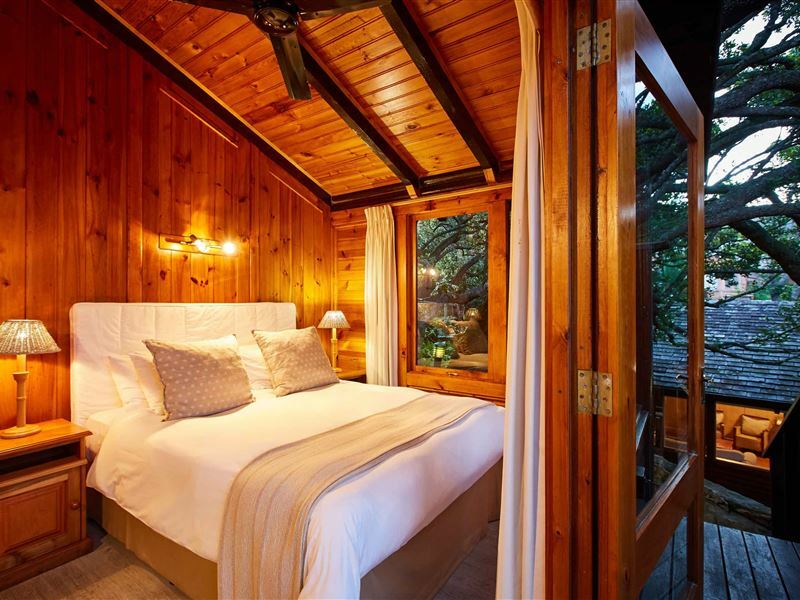 Only drawback for our particular option was the space in the bedroom, but the chalet was still very well equipped and staying in doors was relaxing. 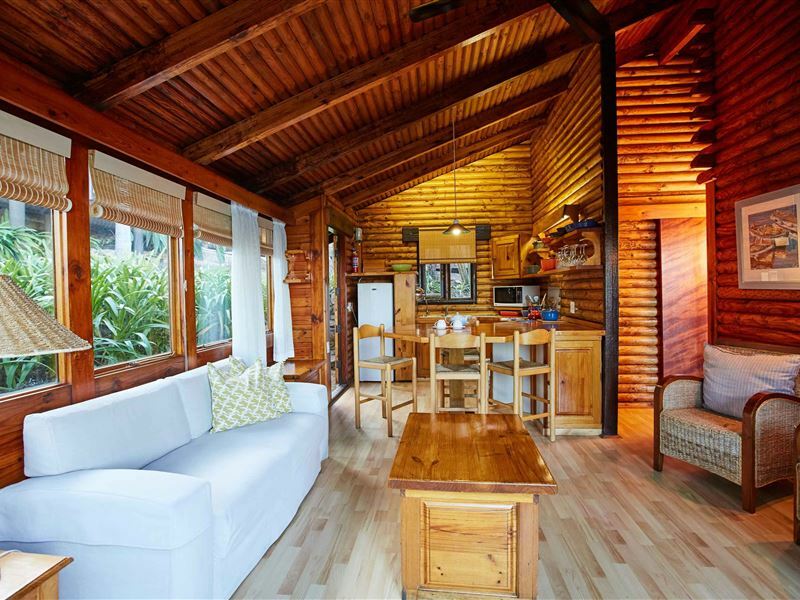 The nature and greenery adds an amazing feel of tranquility inside the beautiful wooden chalet. Quit place outside from Knysna City. The whole complex consist out of more like 12 house, which are built completly with wood. Every house has there own terrace and a barbeque grill, perfect for lunch in the summertime. Inside you find a comfortable kitchen with oven,water boiler, fridge and dishes for selfmade food. Every night the hote staff makes controls in the whole hotel area, so you feel very safe in this complex. Very modern and cozy apartments right on the foot of the lagoon. Private and pleasant setting. Kayaking available should you want to. Lovely wood chalets some with sea view. You have your own parking pace and it's a really nice resort. 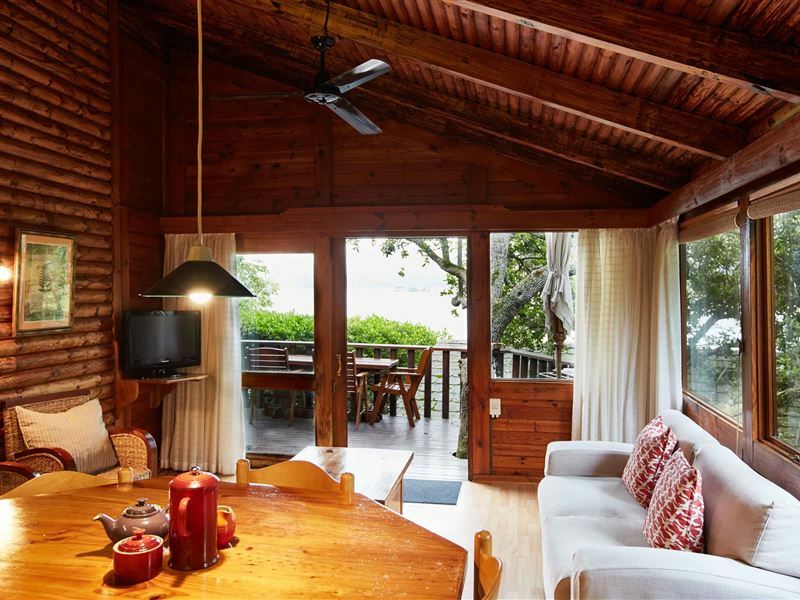 The chalet had two bedrooms and two bathrooms, a very well equipped kitchen and a barbecue grill. Everything was very good! My wife and I went here for our anniversary on a B and B basis and what an amazing place. The service and hospitality was fantastic. The View from our room was out of this world, the room itself was top class and the staff of Under Milkwood, just cannot do enough for you. 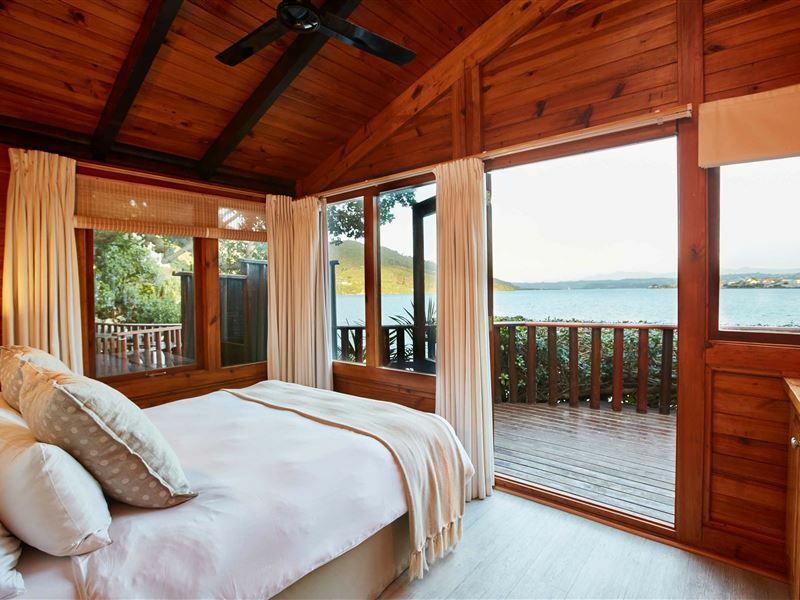 Under Milkwood caters for all types, wether it&apos;s young friends looking for a fun retreat, an older couple looking for piece and quiet, couples looking for a romantic getaway or even families with Kids, there is just so much to do in the vicinity of Under Milkwood. We will definitely be back and had an absolutely stunning time. Chalets amazing. Surroundings beautiful. Servicing of chalets impeccable. Can&apos;t wait to come back. Request a quote from Under Milkwood at no obligation.